Either the bar is very low or folks can't recognize hackneyed plot lines and "oh, no, don't go in there" cliched literary devices. Wished that this book was over many times during the narration and stayed in it only to see how the author wound up the book. What the author needed was a very good editor. Cut this book down from 15 plus hours to a solid 9 would do wonders for the story. And lose the danish accents - distracting at best and insulting at worse. What did you like best about The House of Silk? What did you like least? The narration - Derek Jacobi is very good, though his portrayal of Holmes was his weakest characterization. Very whiny. 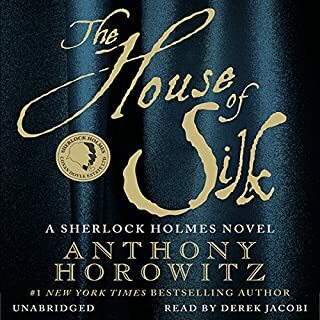 Would you recommend The House of Silk to your friends? Why or why not? No - Not very Holmesian. The characters are there, the setting is there but the heart of what makes Holmes is missing. Did The House of Silk inspire you to do anything? Ran some sections of the narration at triple speed - just too cheesy to listen to. The book jumped the shark for me when Horowitz resorted to the lamest of plot devices: putting the protagonist out on the highest of tree limbs. He has Holmes set up for murder in the most unHolmesian way - the old "don't be an idiot and go in that door, Oh he went in that door" type of set up. Holmes would never go into that circumstance without utilizing all of his resources, having worked out plans B though F. Horowitz instead had Holmes acting as an B movie idiot. Very disappointing. What disappointed you about The White Lioness? From the tedium of the writing to the plotting of the character arcs to the silly insipid contrivances to advance the plot. Writer lacks the basic imagination to go from plot point A to plot point B. Then the repetitive peachiness of the political situation at the time of Mandela and DeClerk. 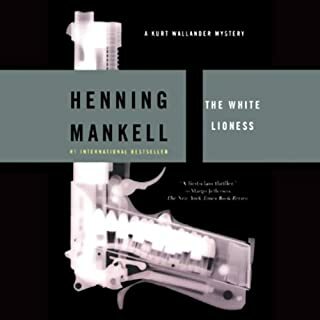 The Author ruined what could have been a first rate thriller..
Has The White Lioness turned you off from other books in this genre? If you could play editor, what scene or scenes would you have cut from The White Lioness? Too numerous to mention. This work could have be done in 20 chapters. 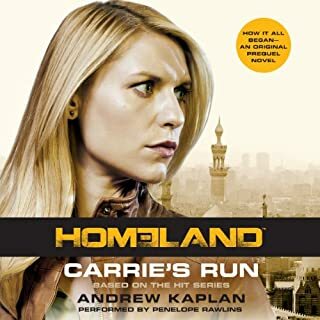 Expert in recognizing and anticipating behavioral patterns - a skill enhanced by her bipolar disorder she keeps secret to protect her career - Carrie is increasingly certain that a terrorist plot has been set in motion. 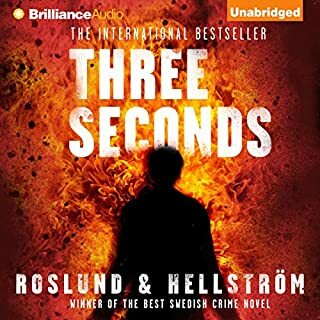 She risks a shocking act of insubordination that helps her uncover secret evidence connecting Nightingale with Abu Nazir, the leader of Al Qaeda in Iraq. Determined to stop the terrorist mastermind, she embarks on an obsessive quest that will nearly destroy her. What would have made Carrie's Run better? 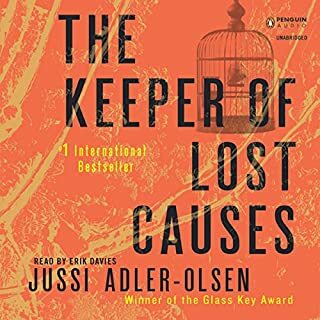 A different writer and narrator. Penelope Rawlins sounds like she is 14, didn't research the narrative - misprounouced Patron and Acela (it's long "O" on Patron, and A-cel-a, not Ace-la). Her male characterization are laughable. The writing is simply lame, again high schoolish, with long redundant descriptions that seems to be written towards word count only. Would you ever listen to anything by Andrew Kaplan again? How didn't she. Never use her again, please. 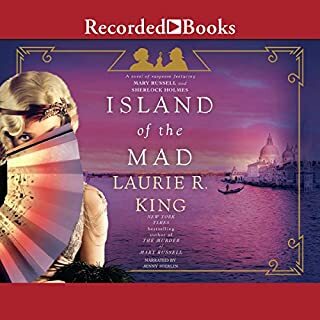 As Mary Russell and Sherlock Holmes embark on their 11th adventure together, they find themselves immersed in the world of silent filmmaking. Here, the pirates are real—and unlike the shooting done with a camera, this sort can be deadly. Why? For the love of God, Why??? There is no possible way this deviation from the norm could have been a 4-5 star book. From the boring, laborous extremely long set up to the cardboard cutout supporting characters, the author indeed, to use Holmes words in the being of this drivil, "conducted an experiment". It failed miserably. It got to the point where I was daydreaming, missed some plot, and DIDN'T CARE. Just wanted it to end. And end it did, with a abysmal Hollywood wrapup, shallow and contrived. This was simply a "pay the mortgage" piece of work, done purely for revenue or to sastify a contractual obligation. 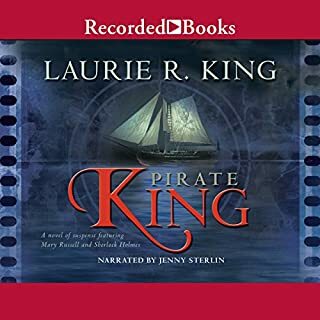 What could Laurie R. King have done to make this a more enjoyable book for you? Not write it. That being said, Russell on her own is simply not a strong enough character to carry a plot for such an extended time. It is her interplay with Holmes, much like Nick and Nora, and other detective couples of note, that makes the work have legs. Too little Holmes and all the rest of the trappings sag into tedium. Russell's independence streak becomes annoying, the exigious on the historical milieu become irritating and the pacing become lumbering. Stay true to your original muse, Ms. King and you will create a portfolio to rival and yea, surpass Robert Parker. "Experiment" at your peril. Which character – as performed by Jenny Sterlin – was your favorite? Holmes. But even he could not save this work. If you could play editor, what scene or scenes would you have cut from Pirate King? A third of the first 2/3rds. But then it would have become a short story.